You are already late for your appointment. That morning, you did everything in hurry to leave home. At the end of it all, you discover your efforts have just become void. There is a car blocking your driveway. This is a common problem in San Francisco. There are so many cases of abandoned cars on driveways. Some you will find them packed just in front of your parking lot. Others you will find them in the middle of your driveway. When you go shopping at malls drivers would come and pack just in front of your car. At this moment you cannot move. You might be in hurry but now you cannot move your car. When this happens in San Francisco the following are legal things that you can do. Call Police to Determine the Owner of the Car and Ask them to Move the Car Blocking Your Driveway. If another car is blocking your way you cannot vandalize it. You cannot destroy their car or do anything to it. When a vehicle is parked without your permission on your driveway, its termed as trespass. This is a civil offense. It’s not a criminal offense. In this case, police cannot be involved. The only thing the police can do is to send an officer. The officer will come and determine the owner of the car. The officer will then ask the driver to move the car out of your way. In case there is a car blocking your driveway call 311 for assistance if you are in San Francisco. In case you are outside San Francisco call (415) 701-2311. Call to report abandoned vehicles, parking enforcement concerns or report a blocked driveway or sidewalk. These concerns will go to the Traffic Enforcement Division. Their main role is promoting parking turnover and ease traffic congestion in the city of San Francisco. This enforcement is done by directing and regulating traffic. When you call this division, they will come to remove the car blocking your way. They respond quickly to driver’s calls for the removal of cars in front of them blocking their driveways. Their response speed is fast and you should expect them in few minutes when you call them. When a car blocks your driveway, you have the right to remove it from your way. Making a decision to tow the car can be a difficult decision to make. Especially when the owner of the car is not aware. However, if the car is parked in front of your driveway on a private property you can go ahead and call a towing company. The towing law should guide you to remove the car. In San Francisco, you are only required to notify the SFPD one hour before towing is done. 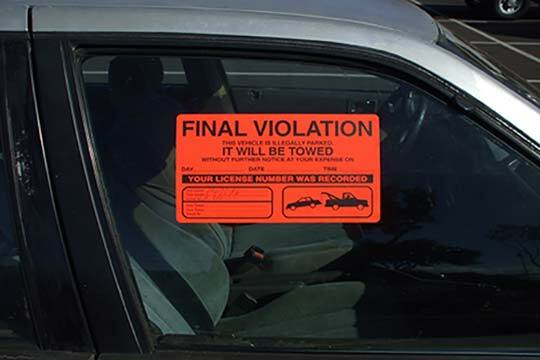 The towing company should also notify the SFPD within 30 minutes after the car has been towed. When a car blocks your way make the right decision. Sometimes it’s annoying and you might be tempted to vandalize the car. Avoid this kind of temptation and follow the legal procedures to remove the car out of your way.